Radu is an open source software developer and container enthusiast, contributor to the Docker LinuxKit project, working as a Technical Evangelist @Microsoft. He sees himself as a friendly geek who accelerates developers to build epic stuff. Opinions are his own. You can read more on his blog. 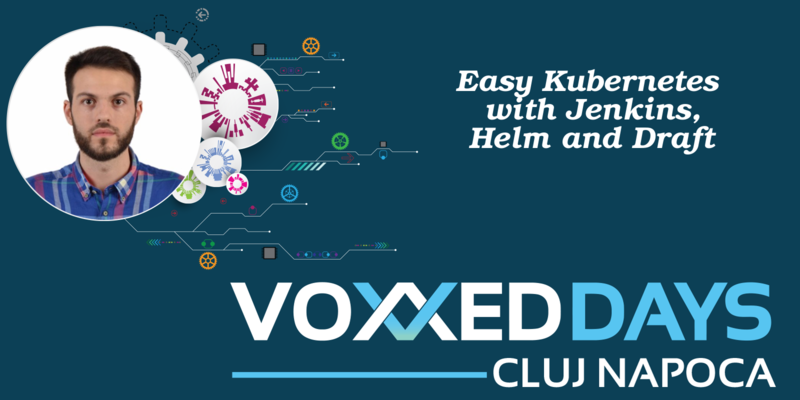 Docker, Kubernetes, Jenkins, Helm… These are only a few of the components of a real life workflow when working with containers and orchestrators, and by the end of this session you will have a more clear view on setting up CI/CD pipelines with Jenkins and dynamic slaves, packaging your application as Helm charts and developing and testing with Draft.